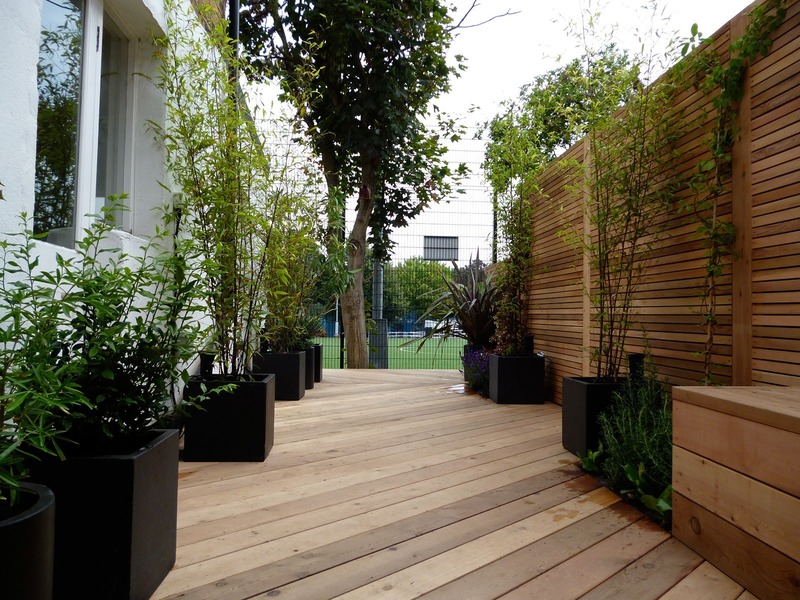 Modern town gardens are characterised by a greater emphasis on hard surfaces and a corresponding reduction in the role of the plants. 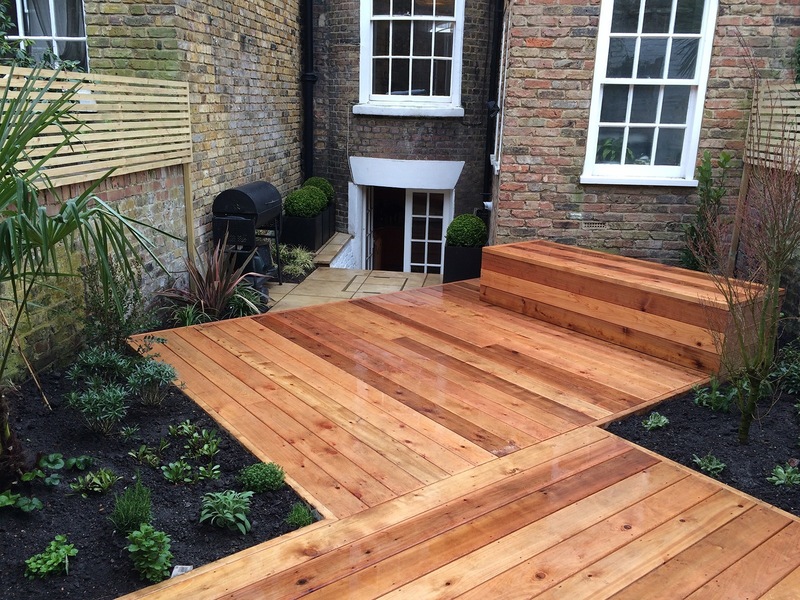 In the two examples here cedar decking has transformed otherwise awkward spaces into clean, attractive outdoor rooms, perfect for those clients who want to spend what spare time they have relaxing in the garden rather than working in it. The high-quality decking material goes down. A sharp, seamless effect is achieved. 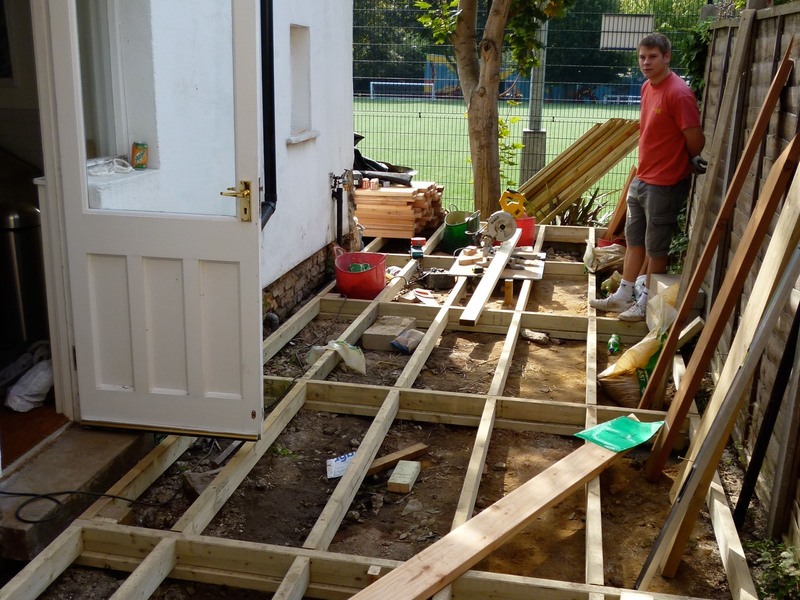 Note how the angle of the boards draws the feet out of the house and into the space. The garden feels suddenly larger. 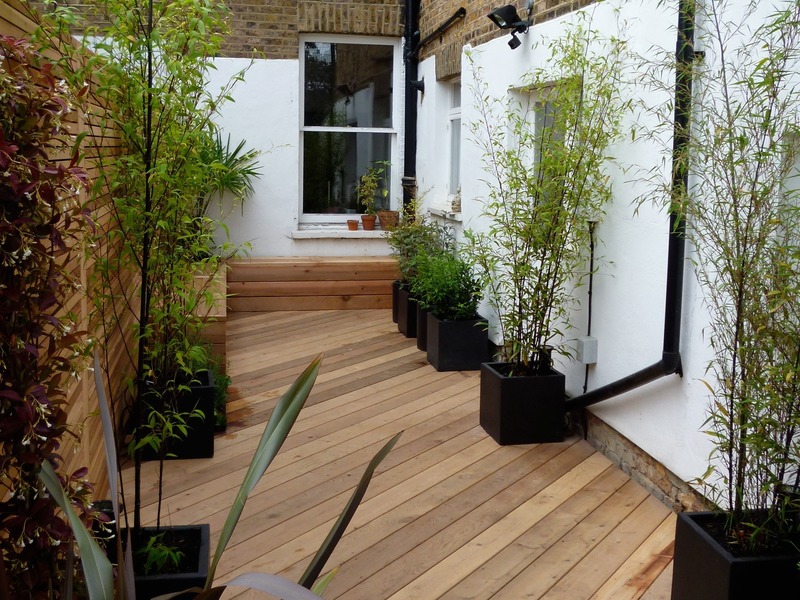 The smart black planters contribute to the minimalist effect. 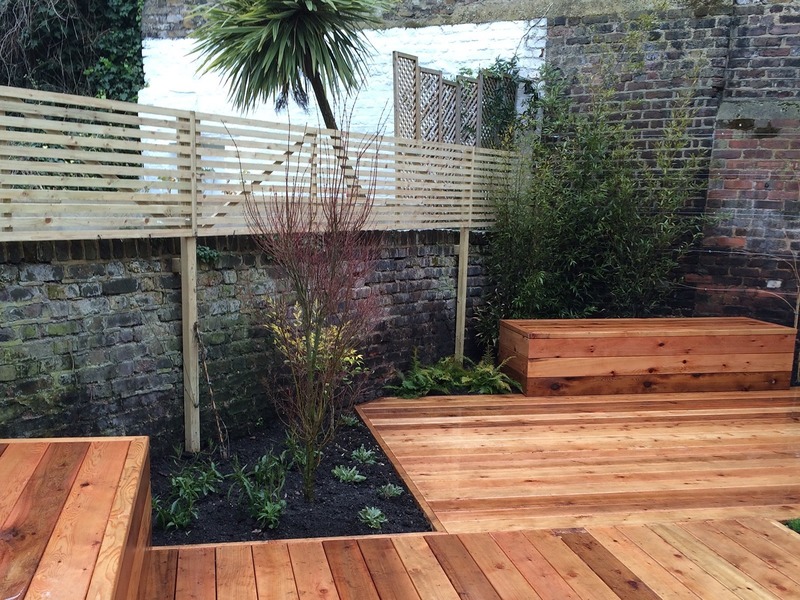 Decking set at an angle to the boundary walls breaks up this tight square garden and makes it feel bigger. The planting, pictured here on its first day in the ground, will soon soften the edges. The raised benches have waterproof storage inside.